We collect the standard information provided when someone accesses a web site using web-browsing software. This information includes the browser software used to access our site, the IP address and/or domain name of the computer accessing our site, what specific web pages or other resources were accessed, and the date and time that the pages or other resources were accessed.  This information is not linked to any personally identifiable information. We may collect, solely through the voluntary actions and permission of the visitor, personally identifiable information including but not limited to name, email address, mailing address, telephone number, and other information that may be requested for site registration or other purposes. 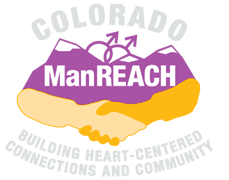 We may collect other information provided through the use of our site, including posts to message boards and chat areas, and may collect email messages sent to and from ManREACH representatives. Web site access information as described in section 1 is used solely to evaluate and improve the content of our Web site. Personally identifiable contact information may be used to inform visitors of upcoming ManREACH gatherings, for fundraising purposes, and other organizational purposes. Personally identifiable information may be released to third parties to perform specific tasks on behalf of ManREACH. Such third parties are required to use this information solely to fulfill these tasks, and must destroy this information once the services are completed. Personally identifiable information of attendees to a specific gathering may be released to other attendees of the same gathering for the purposes of facilitating contact and community building outside of the gathering context. All attendees will be informed prior to the release of this information, and will be given an opportunity to have their information withheld from release. Any purpose as required by law. Aggregated, non-personally identifiable information may be made available to third parties for statistical purposes. If you do not wish to receive email, postal mail, or telephone calls from ManREACH, send your preferences to us by emailing info@manreach.org or by regular mail. See Contact Us for more information. We will confirm your request via the same means of the original request, e.g. by email if the original request was sent via email. You may, at any time, view and change any and all the information maintained by ManREACH. To do so, send your preferences to us by email or by regular mail. See Contact Us for more information. We will require that you provide us with sufficient information to verify your identity. We will not release personal information to anyone except to whom that information belongs. In any case, if we choose, in the future, to release personally identifiable information to any third party for any reason whatsoever, we will contact you and provide a reasonable opportunity for you to “opt-out” and decline to have your information shared.